Stephen J. DUBNER: I’ve read that you’re worth an estimated $31.3 billion. Does that sound about right? Do you have any idea? Steve BALLMER: I’ve read the estimates. I don’t comment, but suffice it to say we’ve read the same publications. Steve Ballmer was the CEO of Microsoft from 2000 to 2014. He was paid handsomely — but not anywhere near $30 billion worth of handsome. That came from a quirky deal that dates back to when he started at Microsoft. He joined in 1980, as the 30th employee. Starting salary: $50,000 — but with a healthy profit share. When that profit share became too healthy from the company’s perspective, it was converted into stock ownership. The result: Ballmer was awarded 8 percent of the company’s stock — the same share as all other Microsoft employees combined who weren’t named Bill Gates and Paul Allen. DUBNER: As far as I can tell, you are the largest owner of Microsoft shares in the world since Bill Gates and Paul Allen have both sold off more over the years. That looks like a pretty awesome decision. Share price, as we speak today, is around 69 bucks. An all-time high. Why did you stay in? BALLMER: I didn’t believe in selling. When I was CEO of Microsoft, I thought, “If I’m selling shares, I’m not showing commitment to the work that I’m doing.” I certainly had already sold enough over the years that nobody could say I was ever going to go hungry. But if you’re running a company you have to be bought in. If you’re not bought into what you’re doing, it’s not okay. BALLMER in a clip from the 25th anniversary of Microsoft: C’mon. Give it up for me! The new project is a website called USAFacts. It’s a sort of fiscal colonoscopy of the American government. BALLMER: If I’m a citizen I don’t want to know just where the government got its money, from whom and where it’s spent. [I want to know,] is it working at all. Or, at least, what activity is it generating? BALLMER: We did not take the right path. All that and much more from one of the most dynamic businessmen in recent memory. Steve Ballmer dropped out of graduate school at Stanford to join Microsoft. Before that, he graduated from Harvard — that’s where he met Bill Gates. Ballmer’s degree was in applied mathematics. But he wasn’t always good at math. His father worked at Ford, in Detroit, and when Steve was eight, the family moved to Germany. BALLMER: I spent about a month in the second grade in Europe and the math teacher told my parents, “This boy is not good at numbers. He’s going to fail in third grade.” I will say that was the initial clarion call for me to focus on numbers and get good. He did get good. In fact, by high school, he got hooked on math. BALLMER: I wanted to go to college. I wanted to be a math or physics major. I loved numbers. What I learned was numbers tell great stories, at least for me. There a certain set of people who can see it that way. If you want to paint the picture of how big, how small and how things fit together, numbers and charts that are derived from numbers can be very powerful. This was a power that Ballmer exercised fully at Microsoft. BALLMER: One of the most important contributions I made was helping to structure the full set of numbers that are available in a complicated business into a few simple reports that people could read. [People could] know that if they focused on those they’d understand the business, understand how to drive the business and improve performance. Who’s really buying PCs? How many are going to schools? How many are going to consumer hands? How many are going into smaller businesses and larger businesses, because each of those represent different opportunities that need to be mined in a different way. The numbers tell the story that can direct action, can help put things in context, etc. President Donald TRUMP in a clip from the White House: The murder rate in our country is the highest it’s been in 47 years, right? Did you know that? BALLMER: I thought it would be interesting to paint government and what it does and what it takes in from its citizens, what it puts out and what kind of outcomes it gets, not by adjectives, but by the numbers. The resulting portrait, USAFacts.org, synthesizes 30 years’ worth of data from federal, state, and local governments. 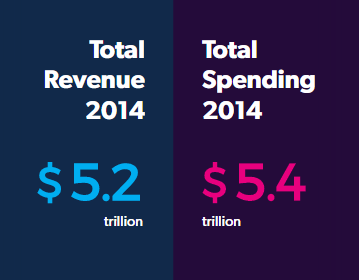 All in, government takes in annual revenues of $5.2 trillion — and spends $5.4 trillion. BALLMER: If I’m a citizen, I don’t want to know just where the government got its money, from whom and where it’s spent. [I want to know,] is it working at all. Or, at least, what activity is it generating? There are a lot of teachers in this country. A lot of what government does is teach. That’s the biggest profession, be it the higher-ed level or at the K-12 level. To be precise: 10,979,260 public employees work in education. BALLMER: It’s a large amount of money. It’s over $700 billion. It’s about 15 percent of what the government spends overall. You say, “For $700 billion, do we like [it]?” Then, we give you the historical context. “Do we like [education], with the ramp up in spending?” Education spending has grown faster than spending overall. “Do we like the kind of outcomes we’re getting?” Something like 30 or 40 percent of kids are proficient at grade level in fourth-grade reading. That doesn’t sound good enough. BALLMER: In general, I do believe in the democratic process in the sense that my voice or my opinion is one in a sea of 330 million opinions, not all of whom could vote. The most important thing I can do here is grounded in the facts, as opposed to have an opinion on every topic and the numbers. That’s up to folks to draw their own conclusions. There are a couple of things that really are on my mind, both from reading this and other work I’m doing with my wife. I am a businessperson still, in my heart, if you will. The notion of running deficits every year doesn’t seem sustainable to me, and reasonable people can disagree about that. Economists on both sides will have opinions on that. But I do look at this and say, “I’m not sure how it should get better.” There’s a variety of ways. The democratic process will have to be part of driving that. But I worry about that as a long term overhang on our kids. We showed that the total value of assets held by American households is about $88 trillion. The amount of debt held by the public is about $15 trillion. It’s a way to think about it. We own $88 trillion worth of stuff and we owe $15 trillion of it back. It’s just a way to say, “What’s the scale of our debt? How will that change over time?” You can increase taxes, you can reduce expenditures. That’s something that’s got to be worked out in the democratic process. I am silent on the topic. Ballmer and his team modeled USAFacts on the 10-K report that public companies file with the SEC to lay bare their financial and organizational details. Well, if not lay them bare, at least give investors a chance to gauge the company’s well-being. DUBNER: How surprised were you that a 10-K for the U.S. government didn’t already exist? BALLMER: I was pretty surprised when I got started, maybe not that didn’t exist but that very little was integrated and complete and coherent. Whether it existed exactly in a 10-K format or not, the notion said, “We really want to see these numbers in context of one another.” There are things you can look at for the federal budget, but it doesn’t factor in state and local. And yet, I look out my window here and most of the roads were built with some combination of state, federal and local money. How can you look at just one element? The notion that there was nothing holistic across state, federal and local surprised me. The notion that the federal government didn’t even consolidate its stuff into a coherent whole didn’t surprise me because people tend to organize by stovepipes, cabinet departments or whatever. It’s hard unless somebody is chartered to bring everything together and tell a story. DUBNER: How did your mental image of the U.S. overall change as a result of this? BALLMER: I knew that Medicare and Social Security were a big deal, but not by the numbers. Did I really understand how big a deal they are in terms of kind of what government does? I call those savings programs, because you’re laying away money for either your health or the rest of your living and retirement. The government is involved in helping people save, on the theory that people wouldn’t save on their own. Through Social Security, Medicare, there’s also a degree of wealth transfer, which I think everybody can form their own point of view [on] whether that’s a good thing or not. But there is both wealth transfer and savings going on. That is a much larger thing than I even knew, despite the fact that it was in my blood. But the numbers brought that clear. In a TEDx talk introducing USAFacts, Ballmer talked about his views on philanthropy. While his wife long been engaged in philanthropy, he hadn’t caught the bug. He felt that being a law-abiding, tax-paying citizen essentially was being a philanthropist — sending the government money that they’d distribute on your behalf. I asked him what changed that view. BALLMER: You certainly can find communities of kids that, when they’re born poor, the likelihood is super high they stay poor — i.e. they just don’t have much of a shot. That’s not okay. No matter what government is doing, that hasn’t gotten better. That is a pocket where it will take something other than business as usual by government. Private citizens must have a role. Philanthropy cannot solve these issues for kids who are born without opportunity. But philanthropy can help fill in the gaps around the things the government does. Philanthropy can help test out, improve things before government is willing to invest. But philanthropy does have to influence government action, if all kids in America are going to get a real chance at the American Dream. DUBNER: But it does seem that there are a lot of wealthy, well-intentioned and really informed people in this space. Look, we could just take former Microsoft people, and that’s already a lot of wealthy, well-intentioned and empirically-driven people in this space. I know there’s been progress. You talk about philanthropy serving a role of discovery, of better methodology, better ROI and so on. But it’s still the government — in a lot of cases, especially education, as you pointed out — that [is] essentially doing the thing, right? It seems as though the leverage that exists between, let’s say, the philanthropic community and policy enactment, that that leverage has not grown, even though there’s more and more good work in that space. Do you see this as being a viable way to influence policy? I don’t want to say it’s just guilt dissuasion. I don’t mean to be negative about it like that. But it doesn’t seem as though we’re working toward better government and/or policy-making methodology. That’s my fear. BALLMER: First of all, it’s important to say that there’s a bunch of nonprofits out there who are doing very good work, but most of their funding does come from government. Most of the not-for-profits in the social service sector would have greater than 50 percent of their revenue coming from government. But government money doesn’t really cover full overhead. It’s very hard for them to exist, and they do need to fill in overhead with philanthropic dollars, despite the fact they’re being driven by government. There’s a role for philanthropy. It’s not a highly leveraged role, but it’s a very important role. [That is] number one. Number two: not-for-profit intermediaries that form in communities and bring schools, police, [the] transportation authority, together to look at these issues as a community issue and say, “How do we focus as a group on improving outcomes for kids, particularly educational outcomes?” … Those are the best proxy for measuring a chance at opportunity. Last, but not least, is a set of programs that my wife has gotten excited about under the rubric of what they call “pay for success.” Most not-for-profits today get paid for activity, not outcomes. There is a view that the only way to bootstrap government changing its procurement policies is to have private sector — that is, philanthropic resources — help stimulate these kinds of contracts, give government a little bit of what I’d call the venture capital money, to try them out and move forward. DUBNER: I hear bits and pieces of that pay for success model now, and again, very few and far between. Can you give a couple examples of where you’ve heard that working well? BALLMER: Yeah, they are few and far between. That doesn’t mean they should be given up on. There was one that was done with recidivism on people in prison in Rikers Island. That’s one of the celebrated, notable ‘works but might not work cases.‘ Essentially, people are getting paid by the success in keeping people out of Rikers. Pre-K education in Salt Lake City. There’s a program there to pay the providers based upon how well the kids actually perform in school when they get out of the pre-K system, as opposed to just the number of kids who go through their pre-K programs. That one has worked quite well. But if you look in aggregate, no, they haven’t. On the other hand, not-for-profits are largely funded by government dollars. You would think it’s worth putting some time and energy into improving the procurement practices from that community just as the government would put effort into improving the procurement practices in the defense sector or anything else. DUBNER: Is it hard for you to adjust to the nonprofit mindset or mindsets, coming from a very for-profit environment, driven by quarterly earnings and share price? It’s hard to go out of business as a nonprofit. Is that tough for you to either adjust or to get them to adjust to your mindset? BALLMER: Not-for-profits can go out of business. Government can’t go out of business. But the nonprofit can. I would say the big issue is almost similar to the issue that we try to provide at least a stab at with USAFacts, which is, “How do you think about outcomes?” In government, or in the not-for-profit sector, it’s nice to talk about money in and money out. But you really want to talk about the outcomes. Are we educating our children better? When you talk to, say, a not-for-profit that’s involved in helping kids 16 to 24 who are out of the workforce get back into the workforce, you want to measure successful placements of people who last in their jobs a couple of years. How do you get them? How do you get the data? How do you measure it? How do you get the not-for-profit focused in on it? How do you get the government funding to match up with it? But the problem is, first and foremost, what’s the right way to measure the outcome? In a business, that’s actually a relatively simple problem. The outcome is profit. You have shareholders who expect it. That’s tougher in social service and government sectors. DUBNER: Maybe that’s why we love sports so much — the outcomes are so evident right? BALLMER: It is one thing. I ran Microsoft — very accountable business — and you don’t learn about real tough accountability until you get in sports. The game is won, the game is lost. That simple. The season’s over or it’s not. DUBNER: You thought you knew binary from Microsoft. This is binary. It’s win or lose right? BALLMER: Our fans start getting angry and calling for heads, including mine. DUBNER: How much do you love golf? BALLMER: I really love golf. My first year retired I played 100 rounds, just to give you a scale, and then I’ve lightened up since then. Other things to do. Among the other things Steve Ballmer does: philanthropy; shepherding his new website USAFacts.org; and taking care of a little trinket he bought himself after leaving Microsoft. Sarah HASHIM-WARIS in a clip from the Los Angeles Times: The $2 billion sale of the Los Angeles Clippers to former Microsoft CEO Steve Ballmer was finalized Tuesday. The price Ballmer paid was nearly four times what the Clippers had been valued at. But he expressed no regret — and was happy to spend more money on top-tier players. Last year, the Clippers so far exceeded the N.B.A.’s salary cap that Ballmer had to pay a nearly $20 million luxury tax, second only to the Cleveland Cavaliers’ $54 million luxury tax. But the Cavs got an N.B.A. championship out of it; the Clippers haven’t gotten past the Western Conference semi-finals. Clip of the N.B.A. Western Conference Play-offs: Diaw, contested three. Foul! And one. They’re looking at four. Clip of the N.B.A. Western Conference Play-offs: Utah moves on. The Clippers are done. BALLMER: We had an exciting season that ended too quickly. But we get a chance in our offseason to tune up our team for next basketball season. DUBNER: There does seem to be a pattern with the Clippers here, Steve, which is that you perform well in the season, get to the playoffs with high expectations, and then don’t advance. This is, obviously, a very different business than running Microsoft. But you had to be pretty diagnostic back in the day with Microsoft. What about trying to apply that diagnostic hat to a basketball team, and the talent, and the competition, all the things that go along with that? What do you see as needing to be done to get it to the next level? BALLMER: First of all, we have a very good basketball team. Last year — both Blake Griffin and Chris Paul— two of our three superstars were out. This year, we lost Blake Griffin in the playoffs. It’s hard to fight, as they say, with one or two hands tied behind your back. But we have a very good basketball team. The goal, of course, is to continue to get better. With the draft and with free agency, while we don’t have draft picks, there’s always a chance to wheel and deal a little bit, so to speak. Our goal this summer is to get better. How do you do that? Turns out, a lot of complicated stuff. You have to be able to evaluate talent. You’ve got to be able to figure out this complicated math problem called the salary cap. We’ve got our work cut out for us. We’ve got to get our key guys back. We’ve got to retool somewhat and come out stronger [at] the end of the summer. That puts us in a good position, assuming we stay healthy next year. DUBNER: Talk about hiring for a minute. Obviously, Microsoft: you were there for a long time and rose to CEO, which you served in for many years. I gather you were less involved in hiring as you went up the chain. But at a place like Microsoft — with tens of thousands of employees — versus a basketball team, the stakes are obviously much higher. Every choice you make has, presumably, a lot more leverage, a lot more consequences. I’m curious what that’s like for you. BALLMER: Of course, [there is] just a hundred and fifty some people at the L.A. Clippers, but there’s about 15 people to focus in on who actually play the game. I am not a basketball expert. I won’t pretend to be. In this sense, I have two contributions: one, I need to make sure we have the right talent running the operation, with Doc Rivers— who’s both coach and president of basketball ops — and a guy named Lawrence Frank, who’s our general manager and EVP of basketball ops. We got the right talent. When it comes then to picking players, those guys really form the plan. I have a little bit of ability to help think through the math problem of, “How do you get capacity under the salary cap to go after people? What does that all look like?” But at the end of the day, [with] selection of talent, I came on those guys to do that to drive. DUBNER: All right, be honest with me. You were notoriously famous for having a lot of fun at Microsoft. Anyone who doesn’t know should watch videos of you jumping around exhorting the troops declaring how much you love the job. BALLMER in a clip from the 25th anniversary of Microsoft: I love this company! DUBNER: You were active to the point of hyperactive in your declaration of enthusiasm for that firm. DUBNER: It seemed like you were having a blast, but be honest with me. Is it much more fun — as I would assume, and maybe wrongly — running a basketball team than running Microsoft? 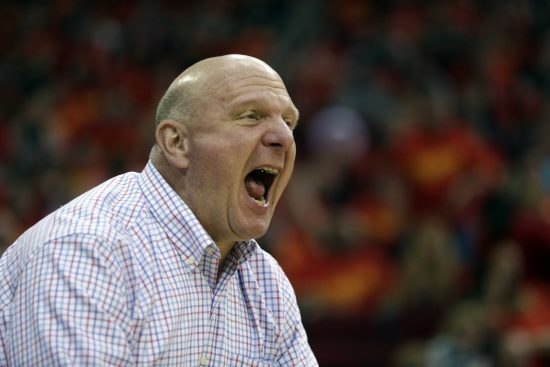 BALLMER: Hoopers, hoopers, hoopers. Running a basketball team? I mean, I own a basketball team. I actually have people who run the basketball team, which is great. In the case of Microsoft, you are worrying every day about the future of the enterprise. Are you going to grow? You got 100,000 people who work for you. Are they going to be stable in their jobs? There’s no question: a basketball team is not going out of business. It really isn’t. You can do better and you can do worse. But at the end of the day, it’s not really about people’s lives. Except the players, where there’s always issues about who stays and who goes. That’s both the players choice as well as the team’s choice. DUBNER: We should say, one reason it’s not going out of business — just to get to the nitty gritty of it — is that you are lucky enough to belong to what some people might call a cartel, right? When you own a pro sports team, you own a piece of the league and only you guys get to decide if there’s added competition in. Obviously, there’s competition among the 30 teams in the league. But that’s a little bit weird, isn’t it? BALLMER: There’s good reasons why — in this country, at least — there’s been a clear regulatory framework with the sports leagues to promote the competition and excitement that people want in the U.S. Will these teams go bankrupt? They can, but they’re not going to go bankrupt next year or the year after. The TV contracts are by and large locked in. There’s a fan base that’s very exciting. It is a little bit different than launching a new product at Microsoft. You hold your breath and say, “We put billions into this thing and will anybody buy it?” At the Clippers, what’s the worst case? We overpay on payroll, we pay a bunch of luxury tax and we don’t win a championship. Or our fans start getting angry and calling for heads, including mine. They say, “Come on boys we can win this thing.” I’m not saying that’s fun. But it’s all different. DUBNER: When you look back at your entire experience at Microsoft, how do you look back and describe that massive chapter in your life, with all its sub-chapters? Just give me the summary. BALLMER: Look, it’s a dream to be involved in something like Microsoft. You go from having no place in the world, to being this big, very important company. You go from a world in which technology is completely non-democratized — mainframes blah blah blah — to a world in which technology is transforming the lives of basically everybody on the planet. People are doing things they never dreamed possible through the power of the technology that the company produces. This journey of creating this baby — which is now a very developed thing called Microsoft — and the baby that was the tech industry — the PC industry when I joined in 1980 — to what is the full tech business today … That’s pretty cool stuff. DUBNER: The year Apple released its first iPhone, 2007, you told USA Today, “There’s no chance the iPhone is going to get any significant market share. No chance. It’s a $500 subsidized item. They may make a lot of money, but if you actually look at the 1.3 billion phones that get sold, I’d prefer to have our software in 60 or 70 or 80 percent of them, than I wouldn’t have 2 or 3 percent, which is what Apple might get.” Talk about if you knew then what you know now about the smartphone market globally — and iPhones obviously a pretty good success in it — how you might have rethought that scenario. BALLMER: There’s two things: what would I have said differently and what would I have thought differently? They’re actually quite different. Competitor comes out [with] a new product. I’m not going to — even now — say nice things about it. There’s two or three key things that I missed. Number one: Apple did figure out a business model innovation, in addition to the tech innovation, which was this notion of having phone companies subsidized the devices so they looked affordable. When the iPhone first came out, it did not look affordable. But with the subsidy model that they developed in conjunction with AT&T, they took a device that I didn’t think would sell and they masked its real cost in a very strong and positive way into the monthly bill. It was the business innovation I missed on top of the product. We did not take the right path. Apple did business model innovation. We tried too hard to keep our old model alive, as opposed to moving to a new model, which we did later when we really got into the hardware business. But by then, it was too late on the phone side. Or the company decided when they shut down the Nokia thing, at least for now, to reconsider and figure out a way back in later. But those were the things I felt like I missed and would do differently today. The “Nokia thing” that Ballmer just mentioned? Around the time he retired, Microsoft finalized a deal to buy Nokia’s phone business. For more than $7 billion. It didn’t work out — at all. Within a year, Microsoft’s new CEO, Satya Nadella wrote off the purchase and fired nearly 8,000 employees, removing Microsoft from the phone business. DUBNER: The Nokia purchase was yours? Talk about that for a minute and the outcome. BALLMER: The Nokia purchase was not mine by the time it got done. I recommended it to our board in June of 2013. Our board turned me down. I got riled up about that topic, which I think has been chronicled. I didn’t think it was handled well. It was one thing [to] turn me down, it was another thing the way it happened. Anyway, I was a little upset about it. But then, after I made clear that it was time to go find a new leader, the board came back and said, “Let’s go ahead and buy it.” By then, they knew I was going to leave and they still wanted Nokia purchase. We got that done. Somehow, the board and the company decided that they did not like the board’s decision and shut the business down pretty quickly. DUBNER: Yeah. Do you or anyone in your family use any Apple products? BALLMER:We do now since Microsoft’s not in the phone business. I do have family members who use both Android devices and iPhones. BALLMER: You know how we say it with USAFacts, “I’m nonpartisan.” I’m all about the numbers. I’m sitting here with my Microsoft Surface open in front of me, looking down at Microsoft PowerPoint and Outlook. Come on. I’m dyed in the wool, man. DUBNER: I’m curious, going forward, how much you care about Microsoft’s future success? BALLMER: When I ran Microsoft, I was always consistent in saying, “The number one measure of whether I did a good job or not would be what Microsoft would look like 10 or 15 years after I left.” I can’t do anything at this stage. I’m just an outside independent guy. On the other hand, I’m rooting for the company for three reasons: I’m a shareholder; because it is the mark of whether I did a good job or not, and part of that is the succession plan; and, by the way, I got a lot of friends who work over there [that] I think the world of. DUBNER: All right, let me ask you some of what we call our FREAK-quently Asked Questions. If you, Steve Ballmer, had a time machine that could go either forward or back, where would you go and why? BALLMER: I would go back to about the late 1700s, early 1800s, to the time of the American Revolution and the French Revolution, to understand the dynamics. Reading in history books, [it is] sort of romantic. I wonder what it would have been like to see the birth of our country and to contrast it with what was going on in France. There are other periods of time. What were things really like around the time of Christ? I’m Jewish, but I would have loved to see how Christianity [was] born out of Judaism. DUBNER: Interestingly, none of those picks are the future. Why is that? BALLMER: I don’t know. Maybe I’m not being good enough to envision the future. Or maybe I’m too afraid of what it would have. DUBNER: All right. What’s one thing you’ve spent way too much on but don’t regret? That may sound like I’m talking about money, but it could be ‘spent too much time,’ ‘spent too much effort.’ Could also be a certain basketball team, I guess. BALLMER:Right now, I’ve spent a lot of money, a lot of time. Shoot, this year I’ve probably attended, I don’t know, 80 or 90 basketball [games] and more. I have a kid who played high school basketball this year. You got to add Clips games to that. Plus, what I paid for the team. It would either be that or it’d be golf club memberships and time on the golf course. I don’t regret it. I don’t regret a second of either one. DUBNER: Hang on a second. 80 or 90 games? Do you go to most home games and some away games for the Clippers? BALLMER: Almost every home game. I probably got 39 out of 41 this year. Plus, I probably made about 8 away games. plus play-offs, plus preseason, plus 20-odd games for my son. DUBNER: Tell us something that most people, even if they think they know quite a bit about you, probably don’t know about you. 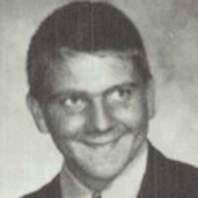 BALLMER: I was super-super-super-super shy as a kid. BALLMER: I used to go to Hebrew school. My mom had to crack the window and get me to do breathing exercises so that I wouldn’t lose it before I got to my Hebrew school classes. I was painfully shy as a kid. DUBNER: How did you get over it? BALLMER: My confidence comes with capability. That got reset. When I went to college, I got nervous and then capability built. When I went to work at Procter and Gamble, my roommate — a friend of mine who started the same day — he said shaking my hand was like shaking this very clammy thing because I was just so nervous to be there. Then, as my capability grew, so did my confidence. Same thing when I got to business school. Same thing when I got to Microsoft. It doesn’t happen as much anymore. But there are still situations where I get pretty darn nervous. DUBNER: What is one story that your family always tells about you? DUBNER: And did you get over that fear of falling? Did you get past that? BALLMER: I still go down the hill sideways sometimes. That’s it for today’s show. Thanks for listening and thanks to Steve Ballmer for, as always, holding nothing back. You can find his new project at USAFacts.org. Coming up next time on Freakonomics Radio. We all know the story about wealthy people, right? Lori HARFENIST in a clip for RT America: No. It’s not just you. Science also agrees that the more money a person has, the more likely she is to be an inconsiderate, rude, jerk. But is that true? Are wealthy people truly more selfish — and how on earth could you scientifically measure this? Jan STOOP: For us, the results were quite shocking. What happens when an economist dresses up like a postman and intentionally misdelivers envelopes with money in them to rich and poor households? That’s next time, on Freakonomics Radio. Freakonomics Radio is produced by WNYC Studios and Dubner Productions. This episode was produced by Christopher Werth. Our staff also includes Shelley Lewis, Stephanie Tam, Merritt Jacob, Greg Rosalsky, Eliza Lambert, Alison Hockenberry, Emma Morgenstern, Harry Huggins and Brian Gutierrez, with engineering help from Rick Kwan. You can subscribe to Freakonomics Radio on Apple Podcasts, Stitcher or wherever you get your podcasts. 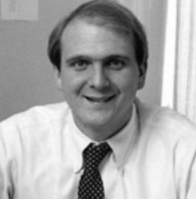 Steven A. Ballmer, creator of USAFacts, owner of the Los Angeles Clippers and former CEO of Microsoft. Steve Ballmer in a parody commercial for Microsoft 1.0. Steve Ballmer & Bill Gates spoof Austin Powers. Steve Ballmer & Bill Gates spoof “Night at the Roxbury”. Steve Ballmer & Bill Gates have a Playday. Next Post »Earth 2.0: What Would Our Economy Look Like?